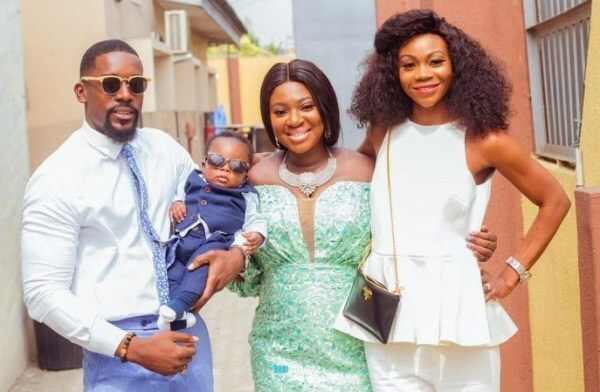 The relationship between, Yvonne Jegede Fawole and husband may not be all that palatable as he was absent at his child's dedication yesterday. Recall that earlier this month, it was reported that Yvonne and Abounce’s marriage was experiencing turmoils over issues concerning the paternity of the boy. Both of them have also taken off their wedding rings. Abounce is said to be doubtful of the paternity, hence his refusal to openly acknowledge the baby till now.